Our roofline products are availble in a range of colours including Black Ash, Rosewood, Oak, and of course, White to suit your property and taste. 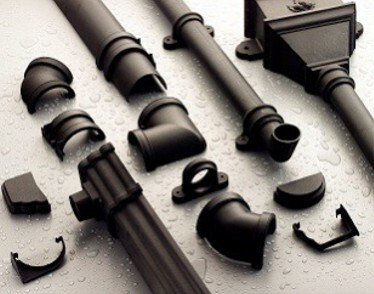 We are particularly proud to be able to offer PVCu rainwater products in accurately reproduced period styling. These fantastic looking historical features aren't just for decoration, they are perfectly functional in all their rainwater obligations. Victorian properties can enjoy the benefits of a complete brand new rainwater system that looks authentic with all the lavish stylings of the period. 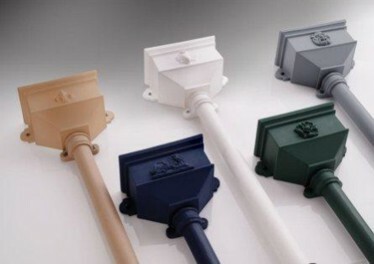 And of course, like all our PVCu products, these period drainpipes, gutters, hoppers and all the fixings come in a vast array of colours to suit your property and taste. Please ask to speak to one of our experienced staff to discuss the installation of period rainwater products. For a free, no obligation quote for any roofline product, please give us a call on 01298 24369 or use our Callback feature and we will be happy to book you in for a measure with our expert surveyor, Tom.